Most of you think of NBC as a broadcaster. Jeff Zucker wishes you wouldn’t. The CEO of NBC Universal likes to point out, repeatedly, that his company boasts an array of cable channels which make money from both advertising and subscriber fees. This dual income stream looks like the way of the future for big media companies (at least in the near term), but this model also makes it hard for big media companies to adapt to the Web–if they give their programming away for free on the Internet, why will cable providers pay for the same stuff? Yet Zucker has just committed to work for another two years with Hulu, the joint venture with Fox and Disney that does just that. On state of ad market: “We have bottomed out, and there is some light at the end of the tunnel, and I think this upfront will be stronger than people expected.” Still thinks upfront sales are the best way to sell/buy. How do you make a hit? “There can still be hits in network television….They don’t last as long, that’s clear. Things that do burn red hot don’t last as long anymore….I don’t think that ‘Seinfeld’ would become what it became if it was on today….It would be off….That’s the shame of the factionalization of TV today.” That said, going to stick with “Friday Night Lights.” This is not something you can decide with pure numbers; there’s some gut. That’s why we hire people to make these decisions. Explains Leno/Conan shows. “Jay decided that he actually didn’t want to retire….We didn’t want to lose him….We had to figure out a way to keep a person of Jay’s stature and caliber.” Decision to replace 10 p.m. programming with Leno was based on a “confluence of events.” It’s live, it’s topical. Live 46 weeks a year, while most shows have only 22 new episodes. The fact that it’s cheaper is important but not the key driver. But there’s a “tremendous cost differential” between that and high-end drama. Hey! We’re a cable network! 65 percent of profits from cable. USA, CNBC, et al are going gangbusters. “The cable model is just a better model….Our core competency is cable.” Would add (buy) new channels if available. Kara: When are “Seinfeld” and “Law and Order” going to be on Hulu? I like those shows. Zucker: Some shows are sold with restrictions. Some day, eventually, the goal would be to have everything. Kara: But you pull things down. Zucker: The goal is to have the best customer experience. Kara: Best customer experience is not pull things down. 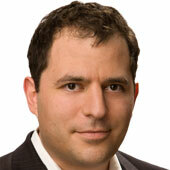 Zucker: Hulu unveiling “Hulu labs” today. Kara: How much does Hulu make? I think this conference makes more than Hulu. Zucker: “Hulu’s doing OK. We’re ahead of plan.” Think we’ll be cash-flow positive “soon,” which is ahead of plan. Kara: When does it become a big moneymaker? Zucker: Over time. How do you make money online? Increased advertising and subscription. Kara: Will you have subscription at Hulu? Zucker: We’d consider it. 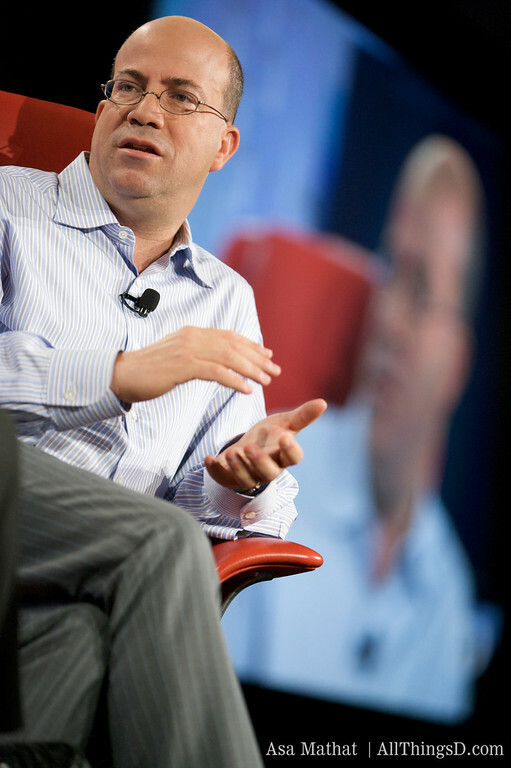 Zucker: Need better ads online. Hulu itself could become an ad agency, and that’s something we’ve talked about. Kara: Please explain the iTunes fight. Zucker: “We’ve always loved Steve, it’s not personal.” “We didn’t think that a library copy of ‘The Rockford Files’ should sell for the same price as a new copy of ‘Battlestar Galactica.’ Apple didn’t want to cut us in on hardware sales, which we asked for. That’s their business, so I get it. “But they’re the only people who get to set wholesale and retail price. That’s not the way most businesses work.” After a year, Steve decided he was open to tiered pricing. So now we’re back. 50 percent of material we sell now sells for a $1 premium at HD. Consumers hav spoken and they don’t have a problem with that. And now Apple (AAPL) is doing tiered pricing in music. I think they have seen that the consumer has not objected to it. In and of themselves, each of these are not huge businesses. But that’s the model. You do now have to have 10 businesses like this to replace the one you lost. So we have to be at iTunes, Hulu, NBC.com, etc. On the “analog dollars to digital pennies” aphorism: 30-second commercials replaced by very little money online. [But if you’re reading this you know this.] We’re now at digital dimes, but we still have a 90-cent gap. Now we have to get quarters. Was that a controversial statement? No. “I don’t know why we feel we have to impress others with things we know are just not true.” Kara: Hey! What do you think about Twitter? They’re fine. Tremendous amount of hype around a lot of products, but will lack for real business models. Bigger issue for us is that we’re now competing against many other things for people’s time, like Facebook. Their engagement is tremendous. That’s why asking people to commit to a new television show is much harder today. “Will you put your shows on Facebook?” We’ll put our shows anywhere. We want to get paid for it.” We want ubiquity. “But if we can’t get paid for them, then we can’t afford that cost structure” for shows like “30 Rock,” etc. Will you add other partners to Hulu? “I wouldn’t rule anything out,” but with regard to equity partners–i.e., CBS (CBS) or Time Warner (TWX)–unlikely. Concerned about monopoly/Washington issues? No. Question: Network TV created huge shows. Can you do that –mass appeal vehicles–on niche formats? People are watching….“The Office,” for example, people are watching it….You can’t just use Nielsen ratings. People are watching programs like this in so many places, and if we aggregate those views, you’d have a hit program. But there is still nothing like a major success on a broadcast network today, even though it’s not what it once was. And that’s why broadcast commands the CPM that it does. Question: But aren’t you worried that broadcast can’t create hits anymore? Answer: Can’t put the genie back in the bottle anymore. Question: You could. Answer: I disagree. Can’t stop progress. Have to find legal ways to deal with consumer demand and technology. And technology is our friend. Change is scary and business models have to change. but we have to deal with it. Question: Is there enough capacity for HD downloads? Yes. Jeff Zucker talks during his session with Kara Swisher at the D7 Conference.